Opposition legislator for Harare West constituency Hon. Joana Mamombe will remain in prison custody after a Zimbabwean court dismissed her application challenging the lawfulness of her arrest and detention. Hon. Mamombe was arrested on Saturday 2 March 2019 and charged with subverting constitutional government as defined in section 22 of the Criminal Law (Codification and Reform) Act. Prosecutors alleged that Hon. Mamombe convened a press conference on Monday 14 January 2019 in her constituency where she urged people to overthrow President Emmerson Mnangagwa's government and encouraged them to engage in civil disobedience and demonstrations in order to shut down the country over the unilateral hiking of fuel and the high cost of living. The prosecutors charged that members of the public engaged in protests from 14 January 2019 to 16 January 2019 after taking heed of Hon. Mamombe's address to the media. On Tuesday 5 March 2019, Harare Magistrate Rumbidzai Mugwagwa dismissed applications which had been filed on Monday 4 March 2019 by Hon. 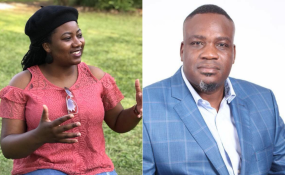 Mamombe's lawyers Jeremiah Bamu and Obey Shava of Zimbabwe Lawyers for Human Rights (ZLHR), challenging the legality of the arrest of the Harare West constituency legislator. In their applications, Shava and Bamu had argued that Hon. Mamombe had been over-detained by Zimbabwe Republic Police (ZRP) officers before they brought her to appear in court and that she had not been lawfully advised of the charges she faced upon her arrest in Nyanga, where she was attending to parliamentary business. But Magistrate Mugwagwa dismissed Hon. Mamombe's applications and ruled that ZRP officers had brought the legislator to court on time but proceedings against her were delayed as the court was seized with other matters which it couldn't drop in preference for her matter. Magistrate Mugwagwa ruled that the other issues which Hon. Mamombe's lawyers had raised could be ironed out during her trial. Hon. Mamombe returns to court on Tuesday 19 March 2019 after Magistrate Mugwagwa remanded her in custody. Meanwhile, Chitungwiza North constituency legislator Hon. Godfrey Sithole was charged with inciting and committing public violence after he was arrested by ZRP officers on Friday 1 March 2019. According to the State, Hon. Sithole, who is represented by Alec Muchadehama of ZLHR, allegedly incited MDC Alliance party supporters in his constituency when he addressed them on Monday 14 January 2019 urging them to demonstrate against the government. The arrest of Hon. Mamombe and Hon. Sithole brings to five the number of MDC Alliance legislators, who have been arrested in connection with the anti-government protests held in January over the country's worsening economic crisis.